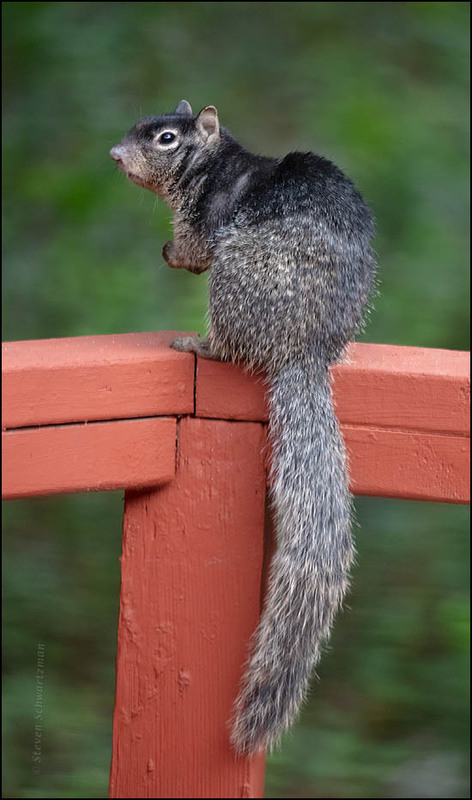 The squirrels that I normally and often see in Austin are fox squirrels. When I noticed one of a different type sitting on the rail of our deck one day recently, I quickly got my camera and attached my lens with the longest reach, 400mm. The animal, which appears to be a rock squirrel, Spermophilus variegatus, was facing partly away but I took one picture anyhow. When I tried opening the back door to get a better angle, the squirrel ran off. On October 21st I saw it on the rail again, this time in a little better position, and I managed to get the photograph shown here. 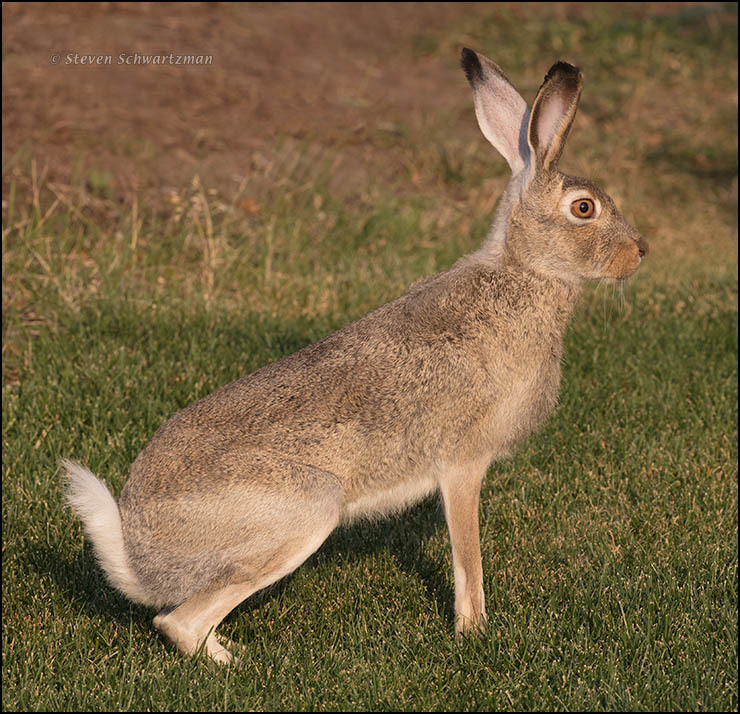 Several times in the Copperfield subdivision of Calgary where we stayed with our gracious hosts on and off during the trip, I spotted a jackrabbit hanging around the neighborhood, as in this photograph from August 27th. My guess is that it was a white-tailed jackrabbit (Lepus townsendii). Of course the sightings might have been of different white-tailed jackrabbits, given that I couldn’t tell one individual from another. You’re welcome to read much more about hares. Okay, so I graduated from college at Columbia University in 1967. 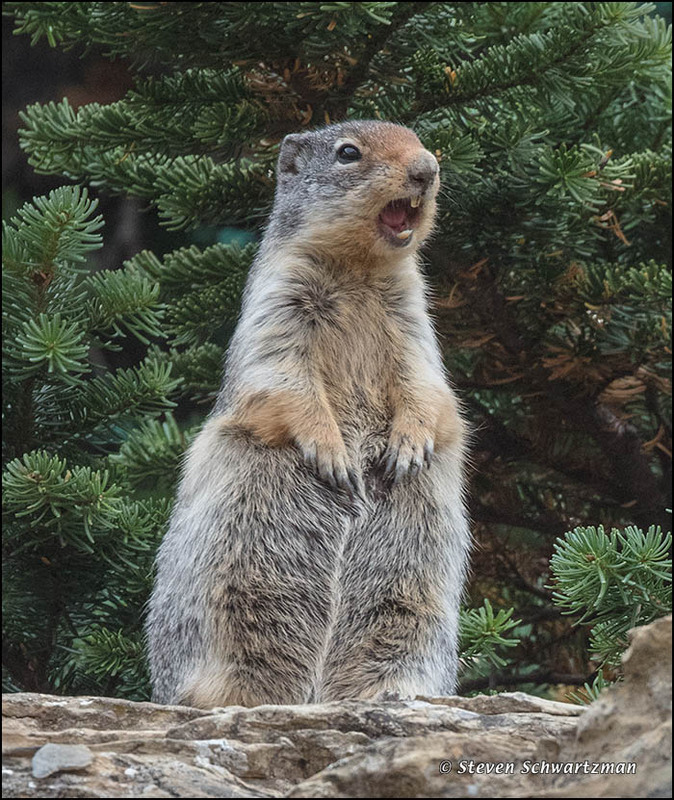 That didn’t prepare me for my first encounter, fifty years later, with a Columbian ground squirrel (Urocitellus or Spermophilus columbianus) outside the Logan Pass visitor center in Glacier National Park, Montana, on August 31st. I’d kept hearing a clucking noise that I couldn’t identify. A nearby person said “it” was on the other side of some trees from where we were standing. When I walked around I found out what the “it” was: this squirrel chattering away and coincidentally lording it over a little colony of flowering fireweed (Chamaenerion or Chamerion or Epilobium angustifolium). 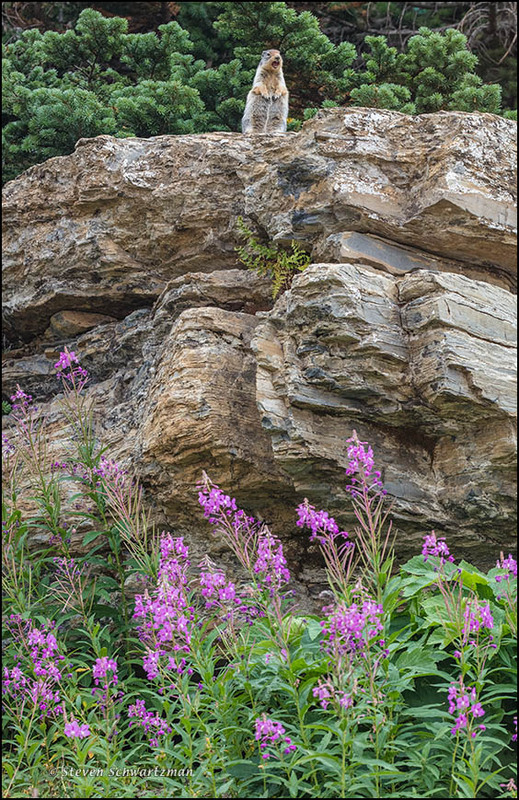 This is the second appearance recently of fireweed in a supporting role with an animal; the prolific plant will eventually appear in its own right. 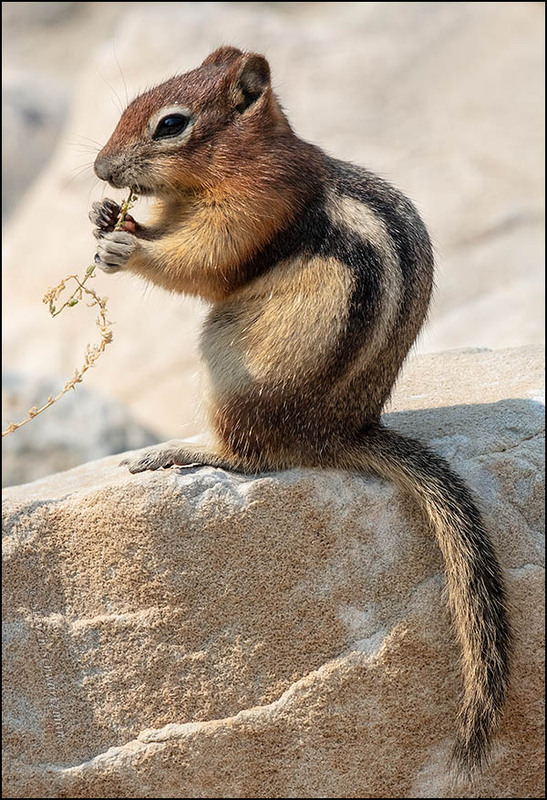 In the meantime, if you want a much closer look at the ground squirrel, click below on the excerpt from a different frame. You’ll be glad you did. Click for better clarity and contrast. On August 29th, a week or so before Waterton Lakes National Park in Alberta shut down because of a forest fire, we drove along Akamina Parkway headed toward Cameron Lake. It wasn’t long before we came up behind a car that was stopped in the road. 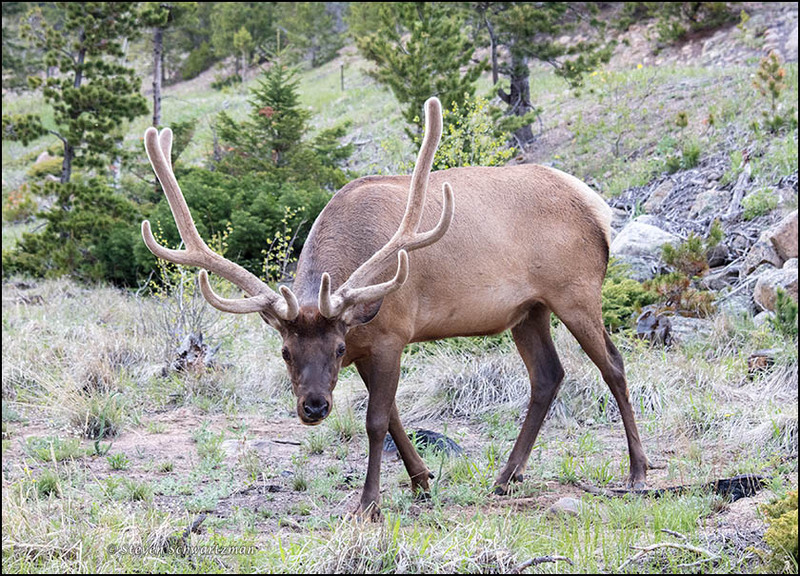 I’ve learned that when that happens in a national or state park, it usually means the driver of the stopped car has seen an animal, and that was the case here. I worked my way around the other car, drove further down the road, and waited for the animal to amble along in my direction. 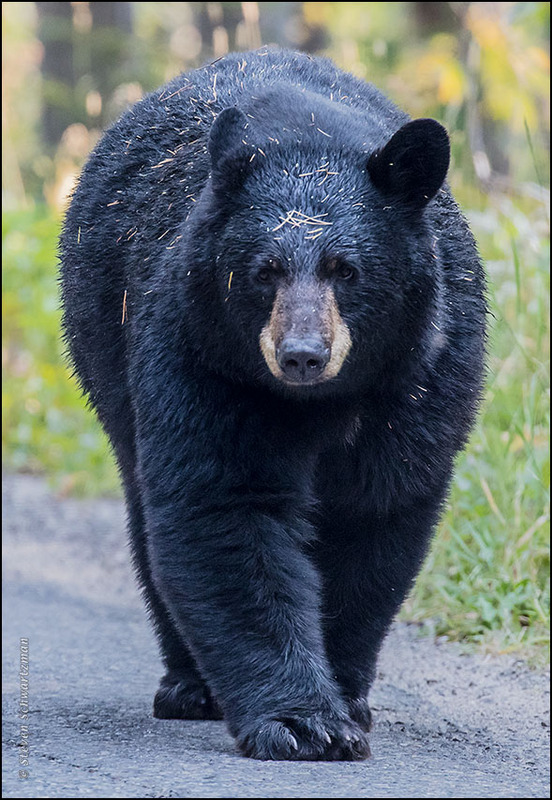 It was a black bear, the first I’d ever seen in the wild. UPDATE: After yesterday’s post appeared, I received quite a bit of information about the mountain shown in it. I’ve updated that post to include the new information. I photographed more than petroglyphs at Petroglyph National Monument in Albuquerque on June 13th. 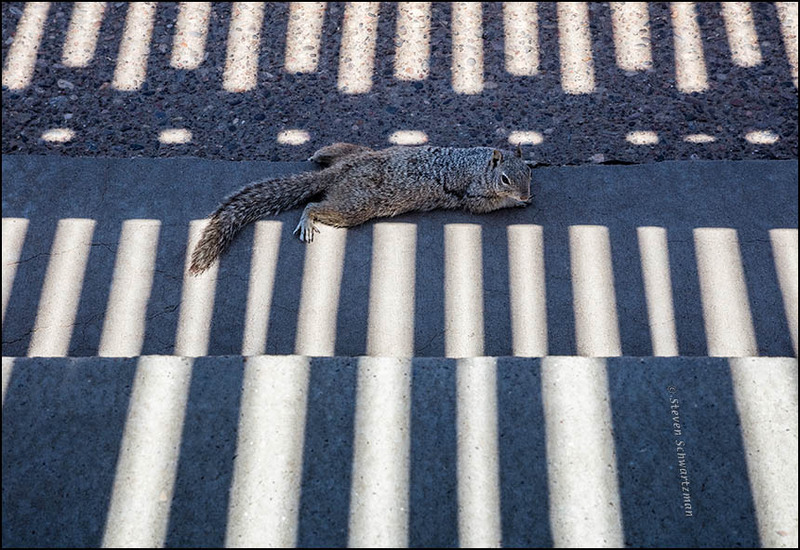 Presumably to avoid the heat of the sun, this squirrel kept scrunching itself down into some of the narrow shadows cast by a picnic shelter.